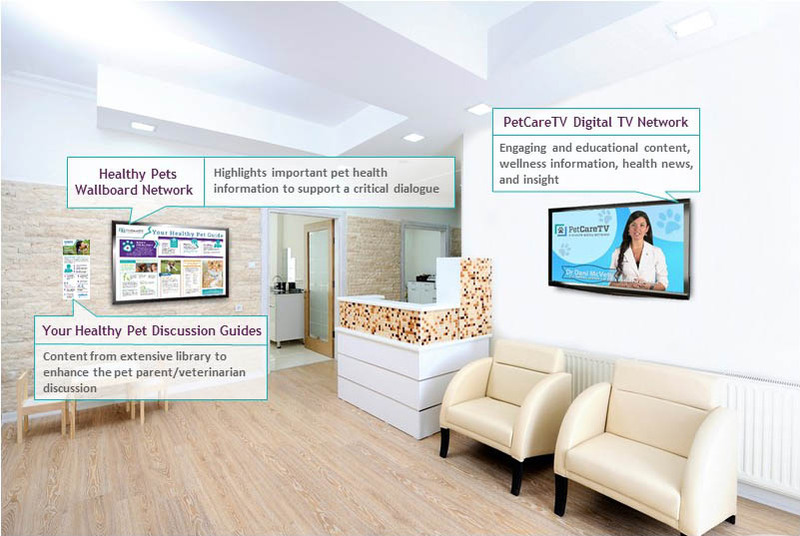 PetCareTV Programming educates pet parents with custom programming and targeted messaging to keep them informed on the best practices of pet healthcare. A PetCareTV subscription starts at just $49/month* and includes everything you need to get started! Speak with a PetCareTV Representative to learn more! Call us today: 813.536.7400. *Subscription includes: a professional-grade flat screen TV, a media player, as well as installation and maintenance on all necessary equipment provided by PCTV.